President-elect Donald Trump delivers his acceptance speech at the New York Hilton Midtown in the early morning hours of November 9, 2016. 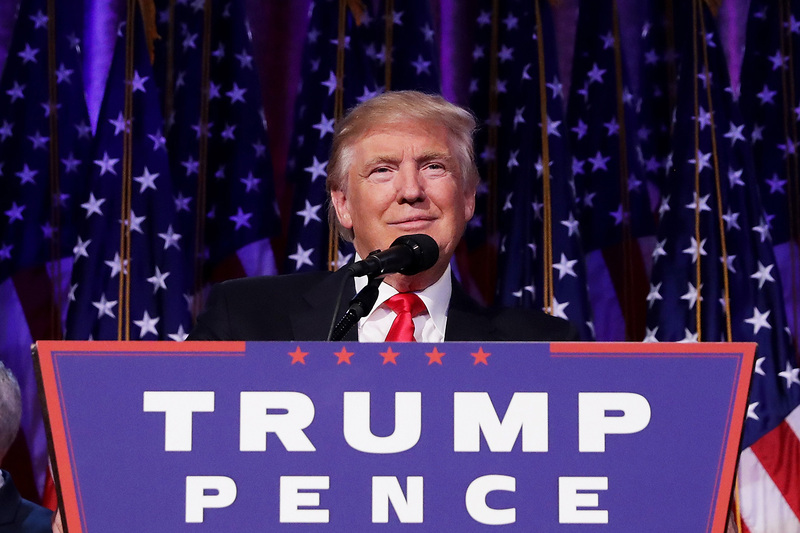 Trump defeated Democratic presidential nominee Hillary Clinton to become the 45th president of the United States. The election of Donald Trump will be a disaster for anyone who cares about human rights, U.S. global leadership, and media freedom. That means it’s a victory for Beijing, where, as I write, the Chinese leaders near me in the palatial complex of Zhongnanhai are surely cracking open the drinks and making mean jokes. There are four major victories for the Chinese leadership here, tempered by one possible fear. The first victory is the obvious one, the geopolitical victory; China no longer faces the prospect of Hillary Clinton, a tough, experienced opponent with a record of standing up to bullies. Instead, it faces a know-nothing reality TV star who barely seems aware that China has nuclear weapons, has promised to extort money from U.S. allies around China like South Korea and Japan, and has repeatedly undercut U.S. credibility as a defense partner. Trump is also exactly the kind of businessman who is most easily taken in by China—credulous, focused on the externalities of wealth, and massively susceptible to flattery. A single trip, with Chinese laying on the charm, could leave him as fond of China’s strongmen as he is of Russia’s Putin. Countries like Vietnam, Myanmar, and the Philippines, uncertain about who to back in the contest for power in the Pacific, will swing massively China’s way, preferring a country that keeps its promises to one that can turn on the pull of an electoral lever. The strongest U.S. allies, Taiwan, South Korea, and Japan, no longer confident in the U.S. nuclear umbrella, will begin seriously considering other alternatives—like acquiring their own nuclear deterrent, prompting new tensions with China. Generally, these developments will only embolden China. After the 2008 financial crisis, Beijing was convinced the world was going its way, resulting in a spate of overconfident military moves in southeast Asia which pushed some countries more firmly into the U.S. camp. Now, China’s confidence will return, and few in the region will have confidence in Washington’s ability to provide shelter from China’s nascent hegemony. Taiwan, already facing tough mainland rhetoric after electing anti-Beijing leader Tsai Ing-wen, will feel completely isolated—and perhaps be vulnerable to actual invasion—without the firm promise of U.S. protection. China aspires toward the Singaporean model of carefully controlled elitism, a country in which Trump represents, in the words of one writer, everything they were taught to fear about democracy. The crudity of Trump’s triumphant campaign gives credence to Chinese media’s criticisms of a “chaotic political farce.” The likely split between the popular vote and the Electoral College will only further the often-made case that U.S. democracy is a sham. Trump himself has given every sign of governing like the authoritarian leaders China has favored from Myanmar to Zimbabwe. Every piece of paranoid security theater he has threatened, from a ban on Muslim immigration to the wall with Mexico, will be used by Beijing to justify its own myriad oppressions. That’s assuming a Trump administration would even press China on human rights at all. Given Trump’s often-expressed admiration for dictators ranging from Saddam Hussein to Vladimir Putin, and his call for isolationism in foreign affairs, China might find itself with a reliably quiet White House that would turn a blind eye to crackdowns in Xinjiang—or even Hong Kong. And finally, the fourth victory is on media credibility. The almost unanimous condemnation of Trump by newspapers from across the political spectrum—to tragically little effect on the voters—will strengthen the case made by Chinese state media that Western media is biased and elitist. When China wants to bash Trump, on the other hand, they’ll point to the failure of TV news to call out his myriad failings. Those are contradictory criticisms of Western media, of course, but Chinese state media has never balked at hypocrisy, so expect both points to sometimes be made in the same article. (China has been quite happy bashing both the shortsightedness of referenda and the corruption of the E.U. over Brexit, for instance.) Secondly, the failure by pollsters—even Nate Silver, though laudably uncertain compared to others, had Clinton as two-to-one favorite—will be used by China to cast doubt on the claims of experts across Western newspapers. But there’s one major worry that may mute the celebrations in Zhongnanhai. Although China regularly trashes the U.S., the country’s growth has been dependent, ironically enough, on a strong, stable, and prosperous United States willing to trade with the world. Globalization, as Chinese authors have repeatedly argued in the last few months, is vital for a country that needs the markets of others to keep pushing its population into the middle class and achieve the dream of being a “moderately prosperous” country by 2020. If Trump actually follows through on his protectionist plans, and his decisions have the same effect on the United States as they have on his many failed businesses, China’s own economy, already quivering, will start to shake. Beijing’s ambitious plans to develop other global trade networks through the “One Road, One Belt” scheme may be able to compensate for that—or may prove just as unstable in a rudderless world. China and the United States have often been compared to the two wings of the global economy; if one goes, they spiral down together.